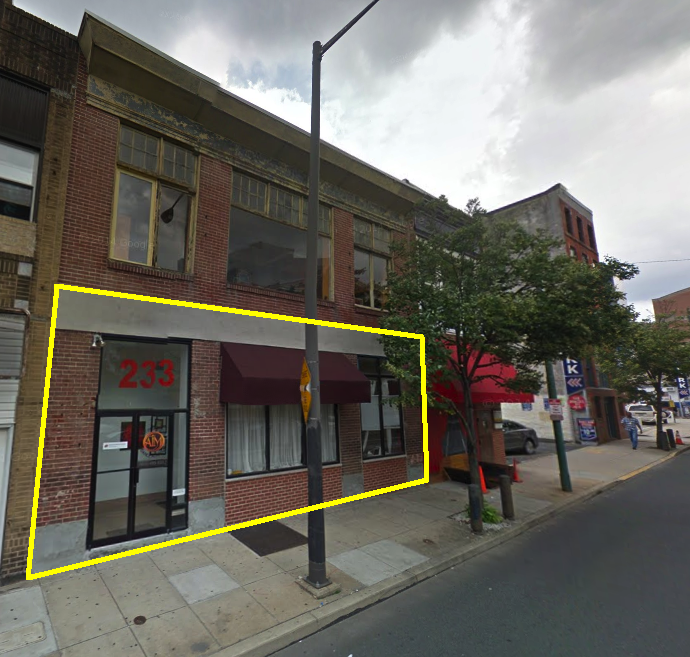 231-233 N. 12th St. — Corporate Realty Partners & Co., Inc.
area: (1st Floor) 3,400 sq. ft.
C.R.P & Co., Inc. is pleased to announce the availability of a move in condition high visibility commercial retail space with immediate off street parking adjacent to the property.The building has new large glass windows and store front entry allowing it to be naturally lit and has high ceilings throughout. A full height and accessible basement is also available. This commercial space is located adjacent to the Chinatown Senior Citizen Association Building and is only a half block away from the Convention Center. The property is close to City Hall, Reading Terminal Market, the Vine Street Expressway, and the Central Business District (CBD). This location boasts an Average Daily Traffic Count of 12,000 on 12th street, 5,000 on 13th street, and 10,000 on Vine.